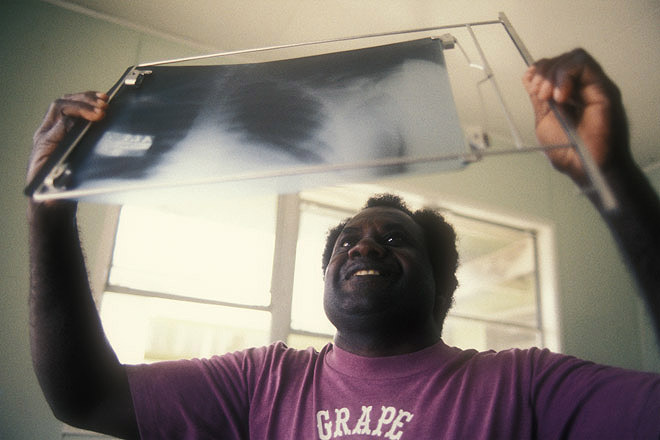 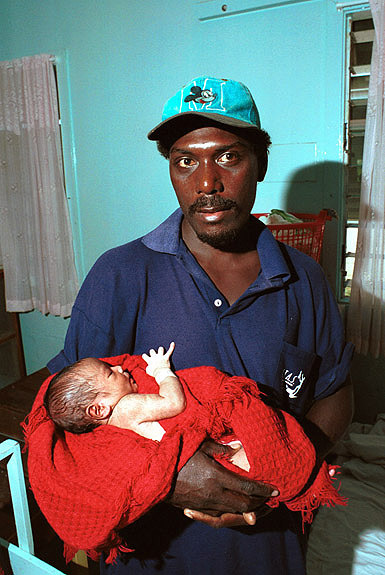 A father with newborn child at Helena Goldie Hospital in Munda on New Georgia. 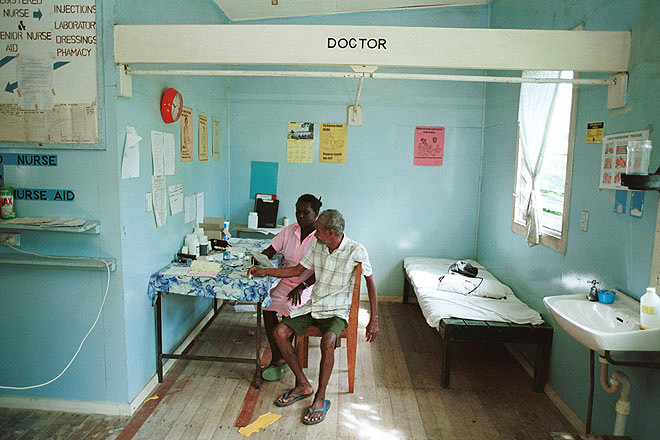 Helena Goldie Hospital in Munda on New Georgia. 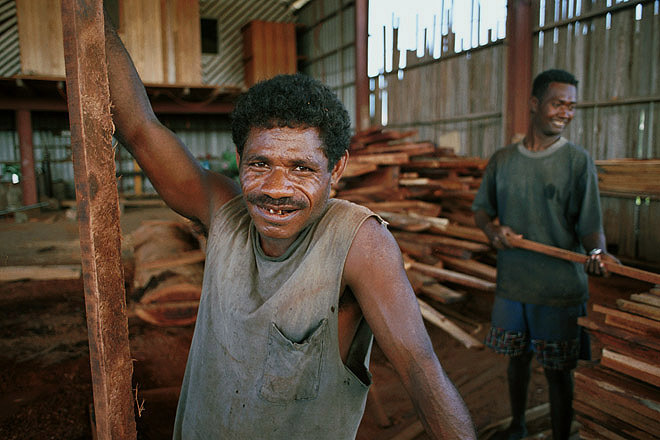 Sawmill in Honiare on Guadalcanal. 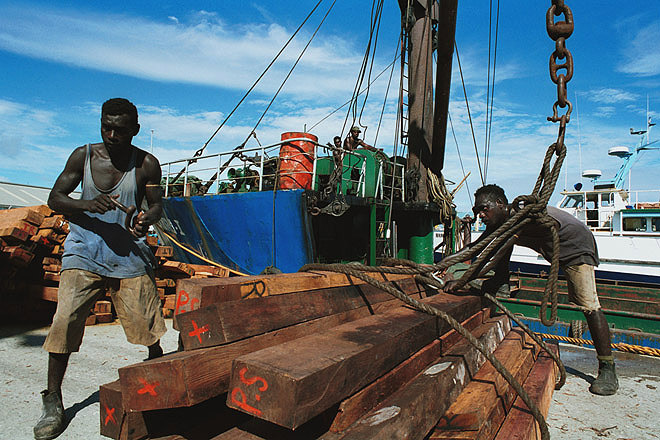 Dockers loading hardwood at Honiare Port on Guadalcanal. 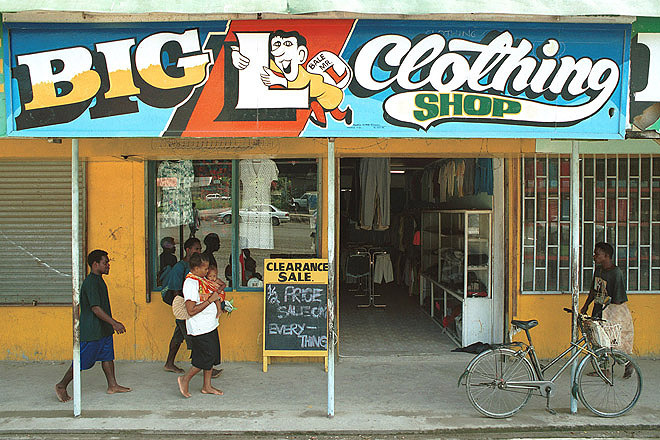 Secondhand store in Honiare on Guadalcanal. 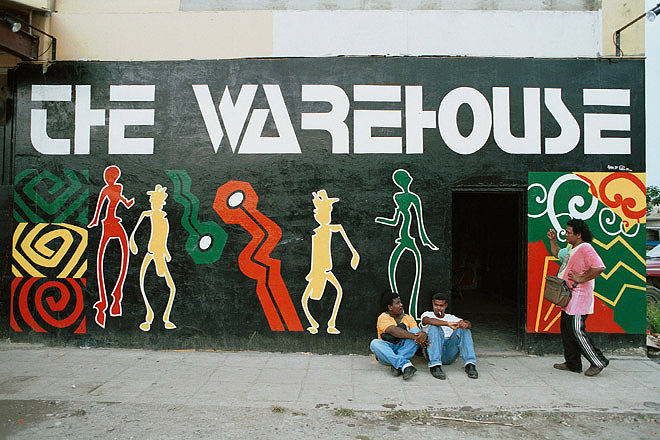 Discotheque in Honiare on Guadalcanal. 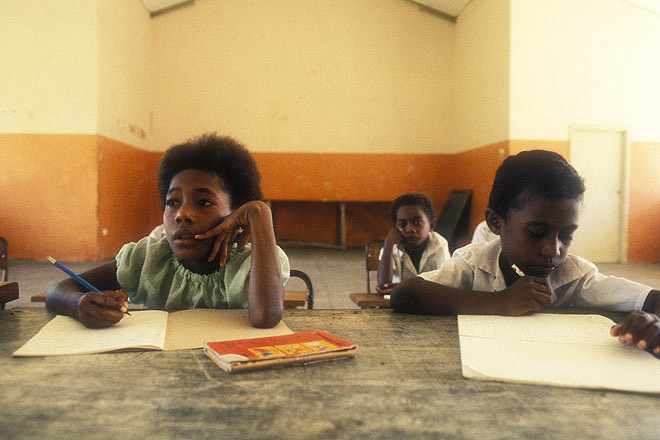 Primary school in Honiare on Guadalcanal. 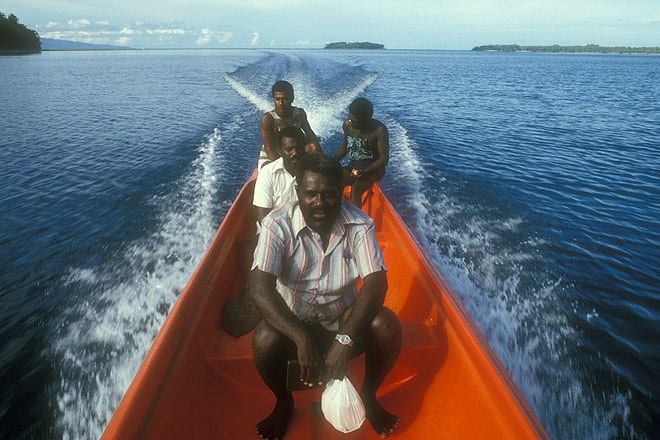 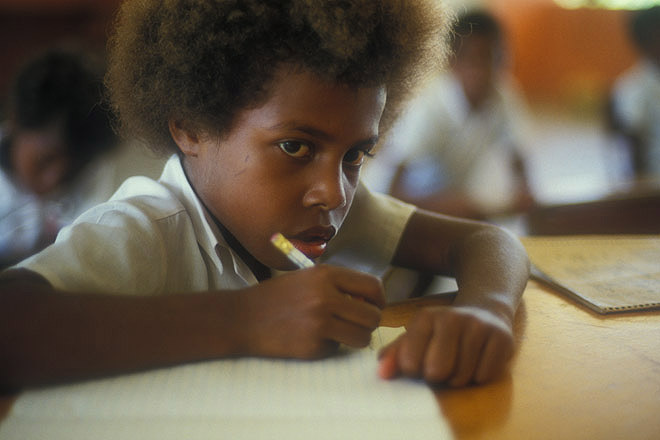 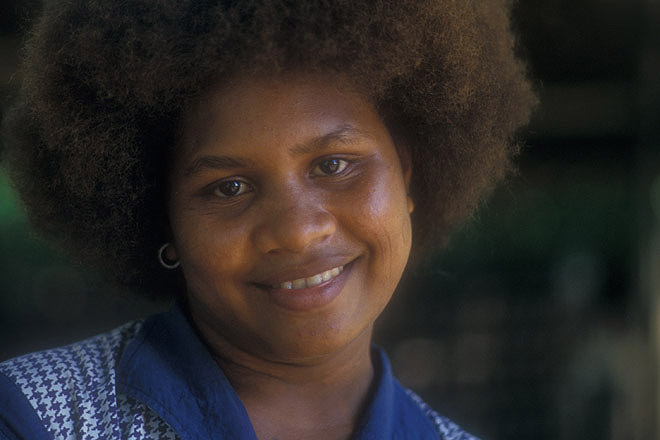 Teacher at a primary school in Honiare on Guadalcanal. 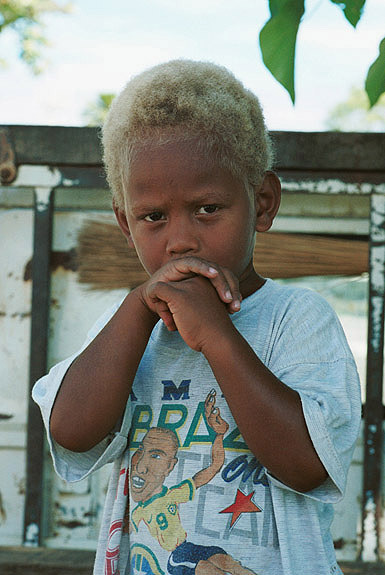 Child in a township on the outskirts of Honiare on Guadalcanal. 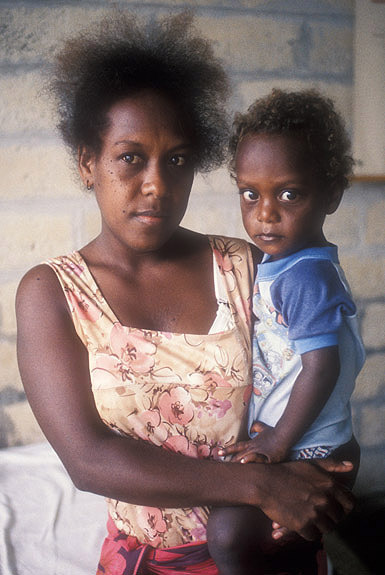 Mother and child in Munda on New Georgia. 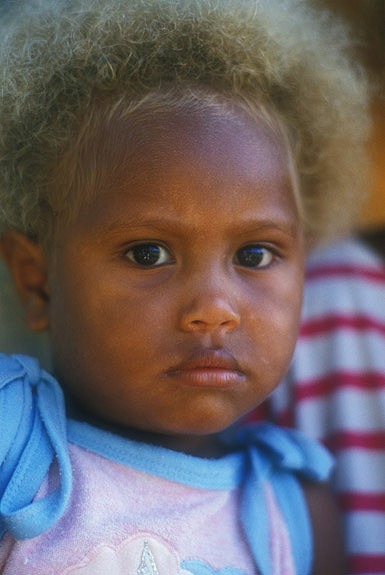 Child in Munda on New Georgia. 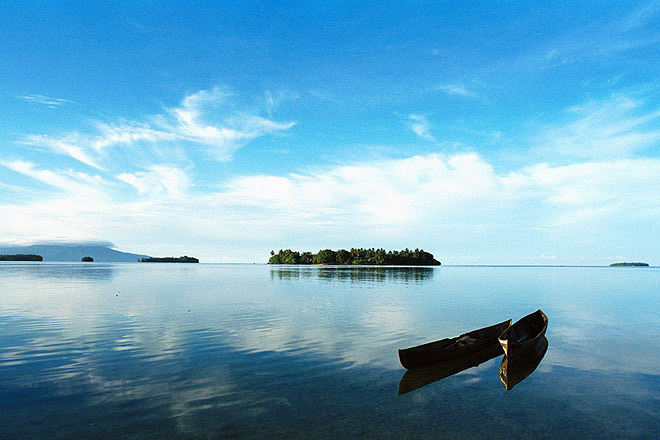 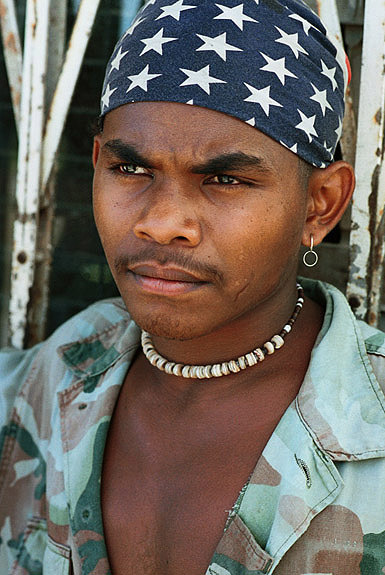 Young man in Honiare on Guadalcanal. 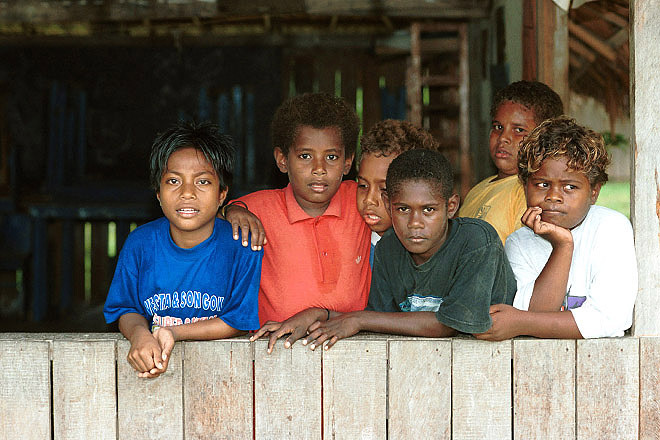 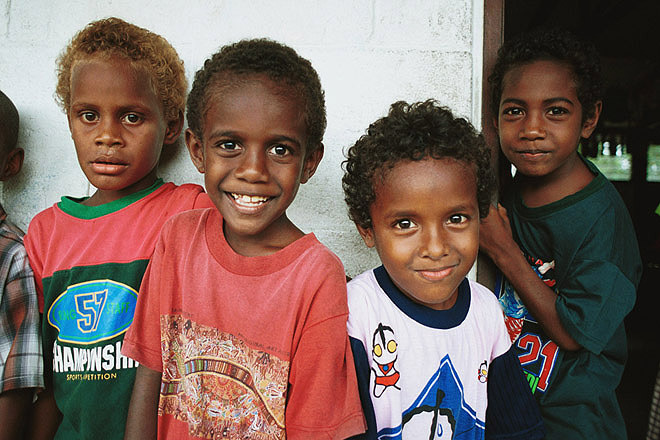 School children in Honiare on Guadalcanal. 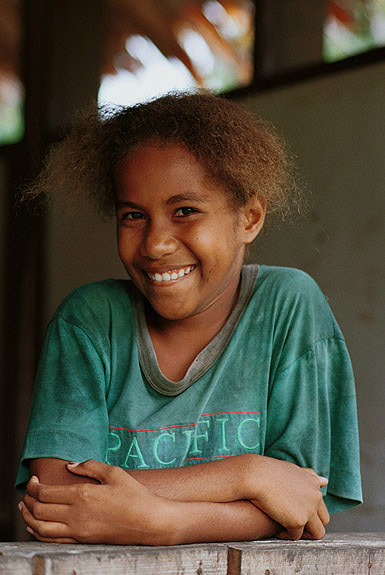 Young girl in Honiare on Guadalcanal.